Ever since its inception, SharePoint has been extensively used as a platform to create and manage intranet and public facing portals within organizations. 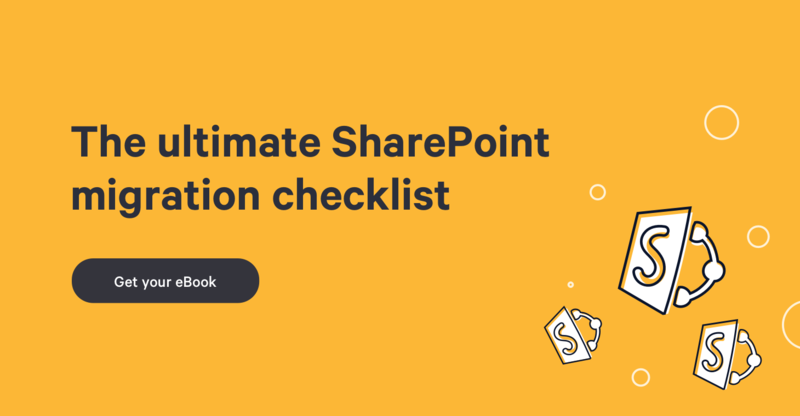 If you’ve already tried the previous version of Microsoft SharePoint at the work premises, you might it brings huge benefits to your team. One of the biggest issues when it comes to managing a huge amount of data is the time required to find what you are looking for. Of course, SharePoint was having an excellent web engine “FAST” to find the documents in its previous versions, but it was not cost-competitive. With SharePoint 2013, FAST is included as a part of the platform rather than an Add-on, which reduces the cost overhead while making search a lot easier for the users! Upgrading to SharePoint 2013 makes it easy to maintain the earlier SharePoint 2010 engine. You can easily get the new add-on called Workflow Manager, which has a capability to run its own server. Also, you can leverage from the respective database for Service Bus and the Manager itself. Workflow creation is also quite easy due to the Task Process Designer Canvas. SharePoint 2010 introduced the usage of SharePoint as a platform to reveal business intelligence and big data reports, but SharePoint 2013 takes business intelligence capabilities to the next level. It brings deeper business insights and analytics. Also, it brings tight integration between SharePoint and Excel. Unlike its earlier versions, SharePoint 2013 store files incrementally through a different approach called “shredding”. In this approach, data files are stashed as XML. When any changes are made, only changes in the parent computer files are stored. This at the end reduces the storage space required while improving storage management capabilities. Earlier versions of SharePoint failed to display contents on mobile devices smoothly, but the new version easily supports mobile web browsing and displays website based on the device screen resolution and size. It also sends alert notification directly to the applications on the mobile device to help you connect with any projects. Social networking plays a key role in SharePoint teamwork and SharePoint 2013 aids flexibility in it by bringing more functions to help you create community sites without paying extra. It brings a lot of new things like forum threads, reputation building and more. With the help of integrated PowerPivot technology, SharePoint 2013 brings out-of-the-box support for larger data. The Vertipaq engine makes it easy to compress and filter big data sets, which at the end speed up the operations. With SharePoint 2013, you can leverage from Cross-site publishing to ensure more powerful web content management. It streamlines authoring and publishing procedure of the organization. Moreover, cross-site publishing enables storage and maintenance of content for multiple sites. SharePoint 2013 has simplified design process with some major enhancements. Now the user can easily customize current and global navigation menus directly via drag and drop of menu items onto the page. It is possible to utilize the external tools like Dreamweaver for site branding. Also, it provides support for various devices like tablet, Smartphone devices and set-top boxes. With SharePoint 2013, user licensing is simplified as now business users can buy advanced software licenses based on their needs and the standard platforms for the specific user base. One of the major enhancements for multilingual websites. Now the users can leverage from some advanced multilingual enhancements and new capabilities within the managed Metadata service application. Unlike earlier versions, Microsoft has put enough efforts to introduce cleaner and lightweight HTML markup in SharePoint 2013. No need of tables for web parts. Also, CSS is rewritten and much more simplified. SharePoint 2013 introduced a lot of video improvements. Now leverage from video rendition, embedded videos and automatic thumbnail creation. Now content authors can easily Copy and Paste contents from rich text editors, content editor web part or an HTML field control on a page. It will help to impose the right kind of HTML formatting. Now the users can easily customize a custom HTTP 404 error page. From now onwards all the publishing sites will have a default “error page” page-layout and the PageNotFoundError.aspx page in the pages document library. The user can easily customize the page and handle errors. SharePoint 2013, with all these amazing features and enhancements, definitely make sense to go for when it comes to developing and manage your own portal. If you’re still using the old versions, it is time to migrate to SharePoint 2013. Did we miss out anything? Share it in the comments…! Dax is an online marketing professional working with Cygnet InfoTech, an enterprise IT solutions and services provider. He holds a deep passion for IT and loves to read and share hip and happening updates about Microsoft SharePoint, Dynamics CRM and ERP. For any queries or questions related to SharePoint development, CRM customization or ERP implementation, consult him on Twitter @ITDax and you will be smitten by his unique and powerful strategies.